Successfully Added Focalmax VR Glasses - 4.5 To 6 Inch Smartphones, Adjustable Pupil + Focal Distance, Fresnel lens, 100 To 115 Dergree FOV to your Shopping Cart. The lightest VR Glasses to date will offer you great 3D VR viewing via your Smartphone and have myopia and focal adjustment so all can enjoy the fun. The Focalmax DR1A VR Glasses are a new concept in wearable VR Smartphone glasses with a super lightweight design and accordion style design. Watch 3D movies and enjoy a bright clear virtual reality experience with this comfy lightweight VR headset that are ideal suited for 4.5 to 6 inch screen smartphones. Made from a soft silicon and with advanced nanometer molecules this comfy headset is soft to the touch and its lightweight luxurious design comes it at only 180 grams making it one of the lightest available on the market, so you can wear it for hours on end without any issues. 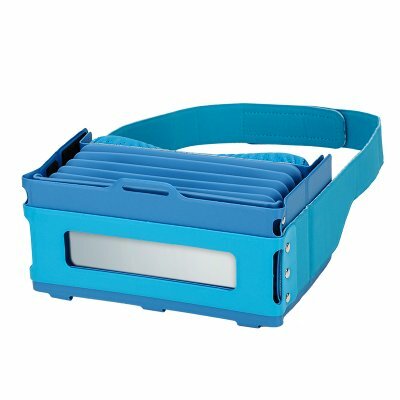 These uniquely designed VR glasses have an accordion style adjustable focal depth of 55 to 75 mm and support viewing for spectacle wearers with up 500 degree myopia adjustment. The velco headset is fully adjustable for focus and head size with soft straps holding it in place. Simply download 3D side by side videos or take advantage of ahuge range of 3D apps and games to experience a fully immersive 3D reality wherever you are all through the power of your android or iOS Smartphone. Th product comes with a 12 months warranty, brought to you by the leader in electronic devices as well as wholesale gadgets..